I recently read an article suggesting that the pop-up shop might be dead. The trouble is that sometimes great ideas become so “hot” that everyone forgets just how great they were in the first place. When the idea isn’t new anymore, the early adopters get bored, move on and the whole thing dies. In the case of pop-up shops, I believe that they contain two fundamental principles that will help to revolutionise the High Street. First of all, the single biggest barrier to young creative brands starting out is the enormous risk of signing a 15- or 25-year lease on a shop property. With pop-ups, landlords are offering short term leases which allow the risk to be totally manageable. Secondly, there is also a big risk for even the most experienced retailer in choosing the right location. For a young brand that has never retailed before, it is almost impossible. The concept of a pop-up therefore isn’t just about selling knock-off Easter eggs for three weeks in March or Christmas trees in December; it’s the idea of a short and flexible lease which allows new brands and designers to get started with far less risk than normal. Which in turn will mean that the High Street will see more and more small, creative brands and hopefully less and less coffee shops and estate agents. In a few months time you will read about a project in Shoreditch which is using old ship containers to create 50 independent stores for young brands on short, inexpensive leases (boxpark.co.uk). It will introduce 50 new, happening brands to the East End and could singlehandedly condemn Notting Hill to retirement. 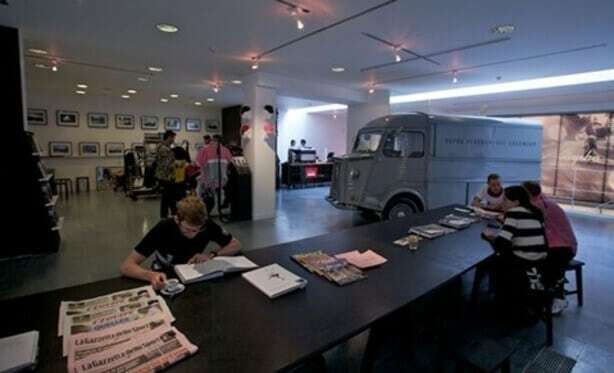 Also thanks to the pop-up concept you will see brands doing exciting, one-off projects such as the wonderful Rapha Cycle Club (rapha.cc/cycle-club), which has popped up and down in London and New York and will no doubt carry on doing so in even more locations. Of course there are other advantages of the concept, such as the oft-used strategy of launching as a pop-up to see how it goes and then when it works, announcing that you are making it permanent due to massive public demand. Whatever the reason, the key is that when the archaic British shop lease system – which is totally designed to protect the landlord – finally breaks down, we will see the High Street become far more interesting again. And it will be all thanks to whoever first thought of the wonderful pop-up shop.